Gene Karraker, associate conservator of frames, cleans the frame for Jacob Blessing the Sons of Joseph by Guercino. Guercino’s Jacob Blessing the Sons of Joseph has been on loan to the J. Paul Getty Museum from the National Gallery of Ireland for just over a year while it receives comprehensive conservation treatment in the Paintings Conservation Studio. Part of that process includes cleaning its frame. Our objective at the Getty Museum for conserving the frames of paintings is to achieve a sense of cohesion between the painting and its frame. Ideally, both are from the same period and the same region, and exhibit the same style. The frame in which Jacob Blessing currently hangs is not its original: we believe it to date from the nineteenth century. But, it’s an Italianate frame, so it’s a match to the Guercino somewhat in style. We decided to clean it so that it not distract the eye from the cleaning and restoration work Getty Museum conservators Devi Ormond and Yvonne Szafran and National Gallery of Ireland conservator Simone Mancini have done on the painting. Fingerprints and smudges in the patina are visible on the surface of the frame. 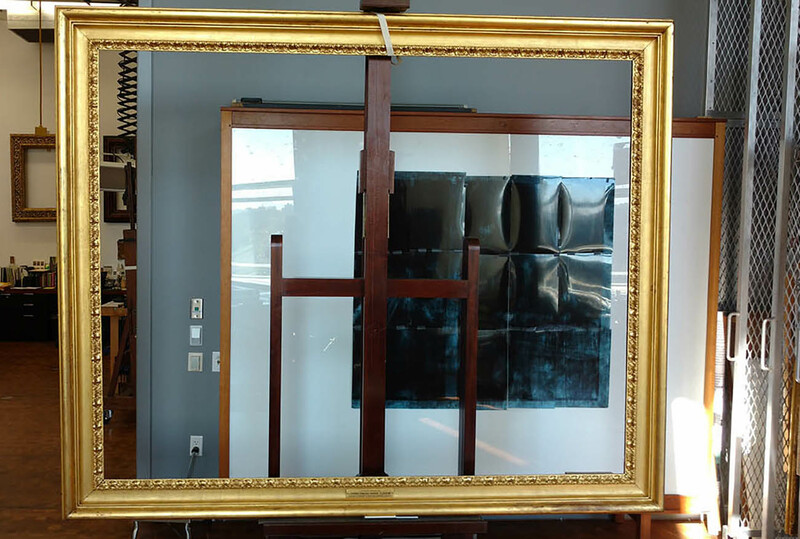 The frame is in good condition, though the surface was quite dirty: fingerprints and smudges were apparent in the dark-brown-colored patina, which tells us at some point someone with damp hands handled the frame and removed some of that patina. This damage made the frame look grubby and were visually disturbing. After careful deliberation and discussion with Simone Mancini, the head of conservation at the National Gallery of Ireland, we decided to remove the old patina from the frame to prevent the damage from disturbing the eye when looking at Jacob Blessing. Using the Modular Cleaning System Program, which is a database and cleaning approach that suggests solutions for cleaning works of art but has other applications, and working with Getty conservators Sue Ann Chui and Devi Ormond, we tested possible cleaning solutions that would remove the disturbed brown patina without damaging the underlying gilding. Gene’s tools and solutions for cleaning the frame. I gently applied the chosen cleaning solution to the surface of the frame using handmade small cotton swabs. I used soft brushes to remove dirt on the areas with decorative molding. Using both these methods, the patina was successfully removed. Left: Cleaning the surface of the frame with a swab. Right: Cleaning the molding of the frame. A section of the frame, mid-cleaning. The treatment of the frame is ongoing. A new patina or tinted varnish will be applied to the gold surface after we’ve consulted with Simone, as the cleaned gold of the frame is very bright and would distract the eye from the painting. The frame with most of its old patina removed. 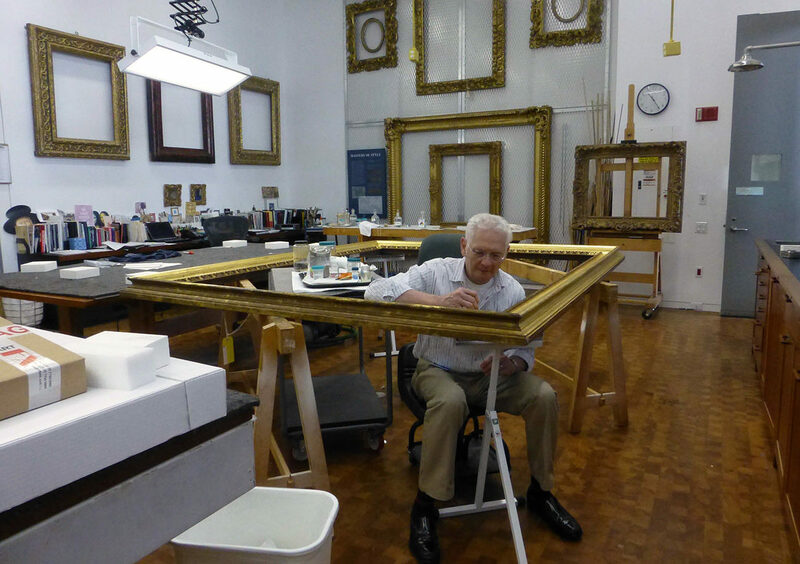 After the frame is finished, it will be carefully reattached to Jacob Blessing before it is displayed temporarily at the Getty Center before it returns to the National Gallery of Ireland. Look for the final product in a future post. This post is part of the series New Life for an Old Master, following the research and conservation of Guercino’s Jacob Blessing the Sons of Joseph by the Getty Museum and National Gallery of Ireland. 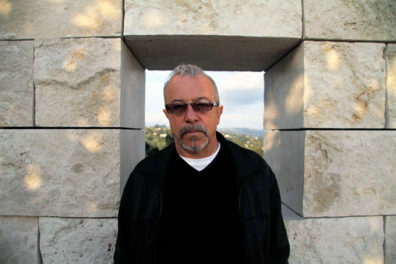 I've been the frames conservator at the J. Paul Getty Museum since 1995. It would be interesting to know which solution was used during the cleaning to obtain such great results. It’s always the paintings that get the attention, so it’s nice to see this article about the frames. A painting is not complete without its frame. 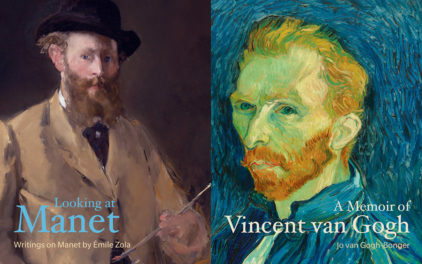 This is a very interesting article explaining the process of determining the proper chemistry to clean the frame and the relationship between science and art. It is also very beautifully illustrated- those are great photos! WOW – what a transformation! Thanks so much for posting this. 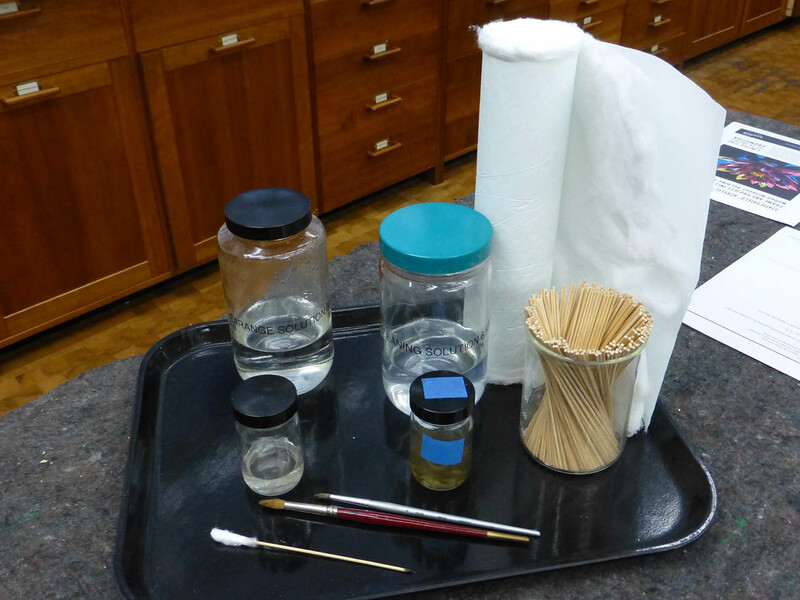 Getty’s conservation is second to none! 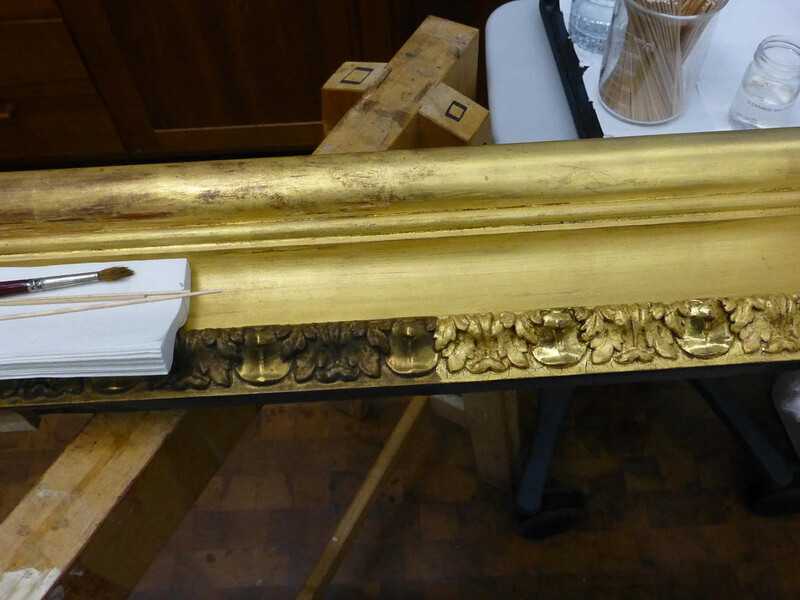 Wonderful presentation of the art of restoring this frame . I’ve been a picture framer for many decades and have worked with some of these outstanding frames, it’s always amazes how much the human hand can cause so much damage through the acid in our finger tips and hands . I would love to see this frame in the painting to experience the full effect of its restoration , thank you for presenting this opportunity .